Flatirons rock formation at Chautauqua Park, Boulder Valley, Colorado. 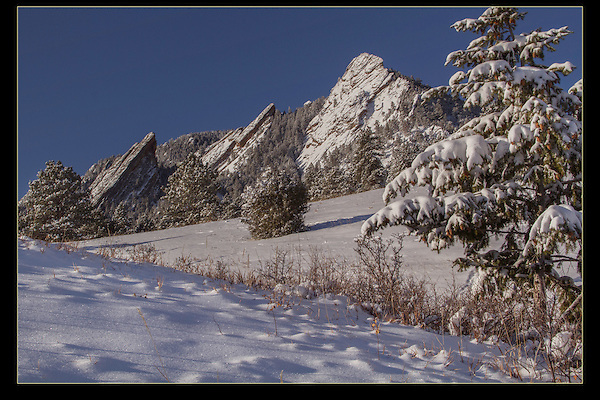 Outside Imagery photo tours and snowshoe hikes in the Boulder vicinity. Rocky Mountain National Park tours.